Is it possible to fix the problem of the effects and particles that disappear as on this video? Yes. Play a map that isn't so inefficient with particles. The reason this happens is because Bungie's tagset is very inefficient when it comes to particles and particle lifespans, and chain explosions make it even worse because they quickly flood the effect and particle limits. If you've ever played Phoenix 3, you'd see that @Tucker933 fixed many of Bungie's inefficiencies with particles while still managing to make even more use of them. Rather than fixing the particle limit, the best course of action is to fix what is causing the particle limit to be hit. Being a tag data related issue, this is something that would be difficult to accomplish with Chimera. If I were to make a command that would go through all of the tag data and change it so the issue won't occur, then the final result will look weird for this map and even weirder for custom maps. Changing this data requires having an eye for this stuff, something that is partially subjective rather than purely objective like what an automatic mod would be. I know that's not the answer you wanted, but from what I'm seeing, the computer running the game is also chugging when large amounts of these effects are happening. If I were to extend these limits, then it will lag a lot, and they would still hit these limits, causing the same artifacts to happen but now making the game unplayable rather than a little laggy. I've known this for several months. Are you sure you're posting in the right section? is there someone working on chimera recently? Yes. I'm still working on it. Oh yeah I rewrote the update notifier in Python. It is worth noting that each Python module can add a small amount of time to the startup time. However, the startup time has been massively reduced thanks to a custom strings.dll and keystone.dll file, so it should more than make up for any startup time penalty the new Python API may bring, provided that you don't overdo it. Chimera includes only one module, so you have a lot of room to work with this. Also, Python 3.7 is unsupported on Windows XP. Although Chimera has never supported anything below Windows 7, this does mean that if you do want to continue using Chimera on Windows XP, you might have to use an older version. 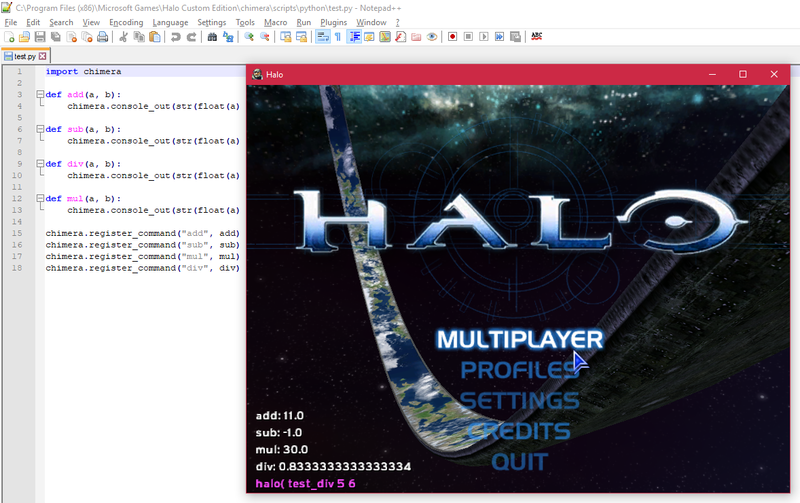 Chimera supports custom scripts. It's not a good idea to have these have administrator access to your PC. Chimera has various functions that require a network connection. This is dangerous when the program has admin privileges. 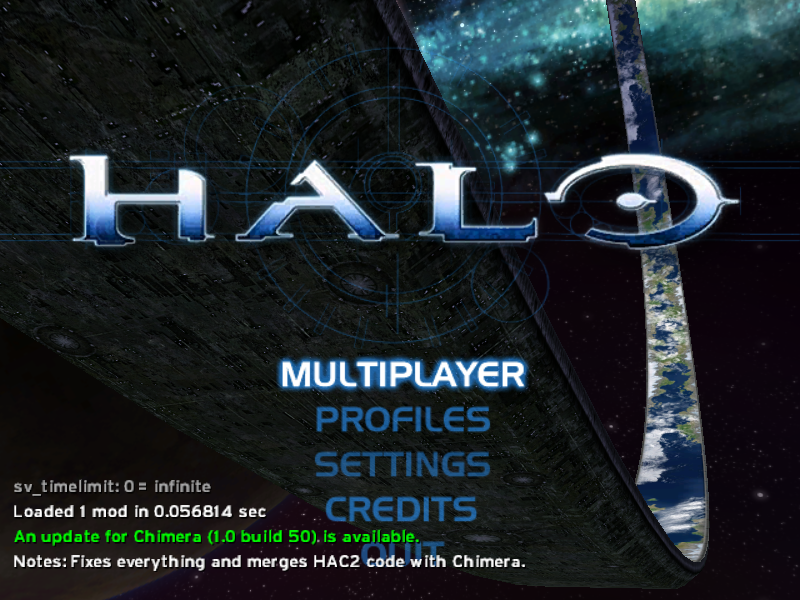 If you can't play Halo without running it as admin, something is wrong with your installation of Halo Custom Edition and this problem may break the functionality of Chimera. If you have any questions or concerns, feel free to reply here. I think this is to do with the fact that the Alpha version does not interpolate the camera, and halo's original camera interpolation is bad.